Washington Court House Dental co-sponsored the “Scared of Santa” contest with the Record-Herald. The winner of the “Scared of Santa” contest was the photo of 1-year-old Bohen Lawwell. Bohen is held by his mother, Marissa Lawwell, and pictured with his father, Ren Lawwell. Record-Herald senior media sales consultant Kim Penwell presented the family with a $100 gift card. The winner of the very first “Scared of Santa” photo contest, sponsored by the Record-Herald and Washington Court House Dental, was 1-year-old Bohen Lawwell, son of Ren and Marissa Lawwell. From Dec. 7 until Dec. 19, the community was encouraged to visit www.recordherald.com and submit photos of frightened little ones as they met Santa Claus. The overall winner among the submissions was selected by the community via online vote. The Record-Herald received more than 300 submissions, and voting continued until Dec. 29. 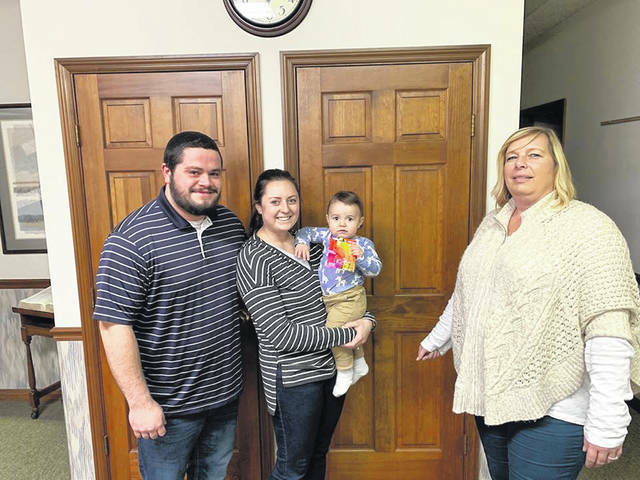 The winning family came by the Record-Herald office Thursday to receive their winning prize of a $100 gift card. More than 500 people voted during the contest. 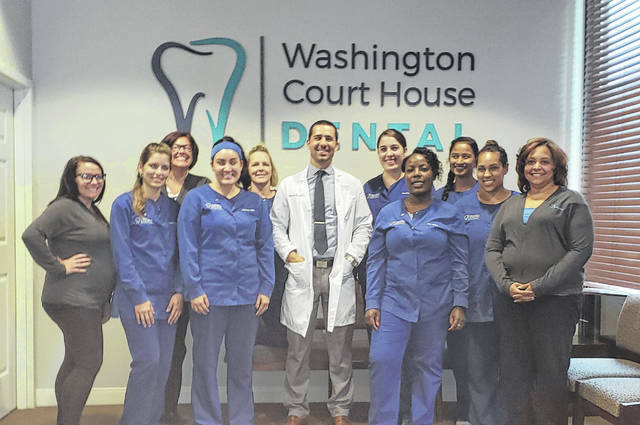 The Record-Herald thanks Washington Court House Dental, owned by Dr. Michael Pappas, for partnering with us to provide the Scared Santa photo contest to the community. We also thank the many community members who entered submissions and voted during the contest.